Goldsboro isn’t your average Eastern North Carolina town. It’s got a small-town feel but this place packs a punch in the arts, history, and food. And honestly, these are just the start of what you’ll find here. 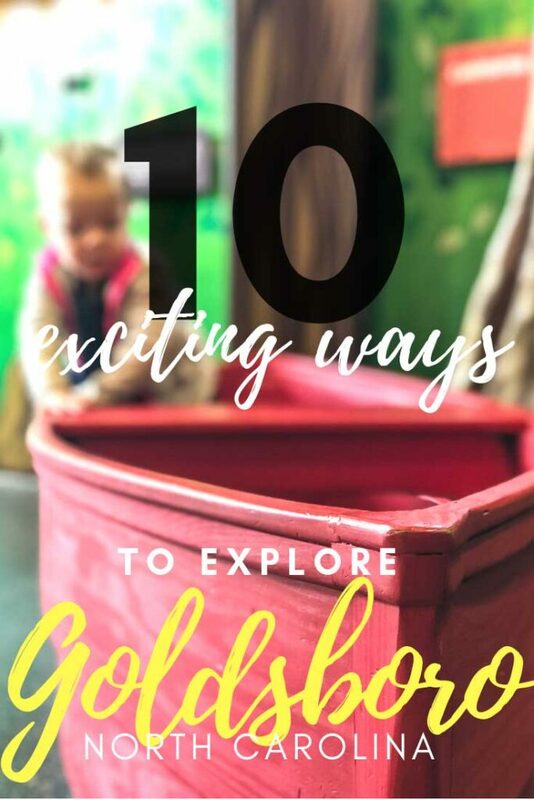 Sprinkle in annual events and some awesome outdoor fun you can discover here and around Wayne County, and you’re going to find that there are always plenty of things to do in Goldsboro. 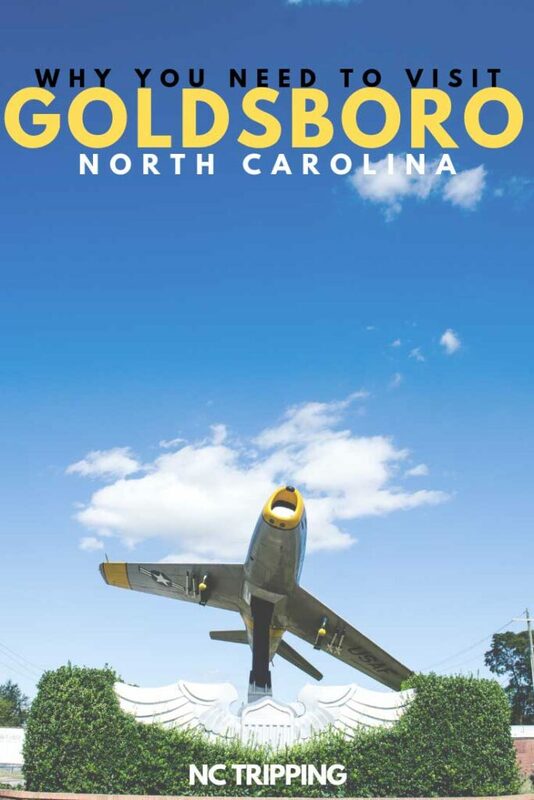 Check out more about this awesome town in our Goldsboro section! Where else in the world do you know that celebrates ringing in the new year by dropping a pickle? Goldsboro’s neighbor Mount Olive, the city with the best pickles, does! The Mount Olive Pickle Company is a big dill (hardy har har) and not only does the town of Goldsboro celebrate by dropping a pickle, but they also host the NC Pickle Festival every year! Wayne County is also the third largest agriculture producer in North Carolina! From poultry, pickles, pigs, and a myriad of other products, Wayne county can be thanked for keeping food local and people fed! Those three Ps are such a big deal, we covered them and more in our ode to the Four Ps of Goldsboro. We’ve also included the Pickle Drop in our guides to Winter Things to Do in North Carolina and Unique Things to Do in North Carolina. If you’re looking for hotels in Goldsboro, Plum Tree Gardens is a highly rated bed and breakfast that’ll get you close to Downtown. There are more places to stay just a couple of miles away between Royall Avenue and Highway 70. Hampton Inn has saved the day on many occasions and we enjoyed the one in Goldsboro. 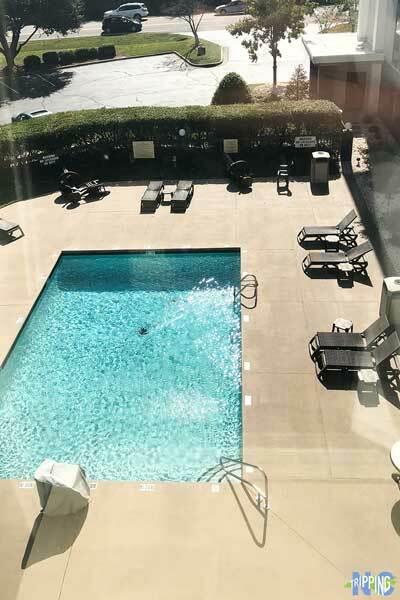 Guests have access to the outdoor pool that nicely compliments the other things we love about Hampton Inns, including funny signs, free breakfast, and comfy rooms. Need to see more hotels in Goldsboro NC? Check here for the best prices and availability before you book! Now, it’s time to get into things to do in Goldsboro. These’ll help, whether you’re staying for a weekend or living here and need a refresher. 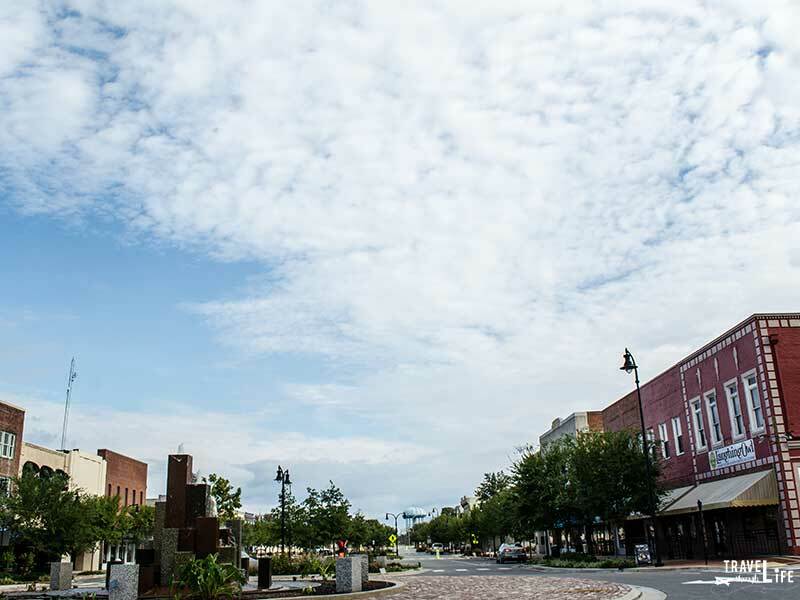 The newly revitalized Downtown Historic District is the best place to start when arriving in Goldsboro. When you want to settle down for a few, play some arcade games with a flight of beers from Asheville to the Coast at Brew Works (Website/Facebook) and find a friend to dominate at Tekken. Downtown also has some fun places shops run by locals, including Carolina Pine Country Store and Bicycle World-The Outdoor Shoppe. While you’re hanging out Downtown, walk around and scope out the art installations throughout Center Street and around. 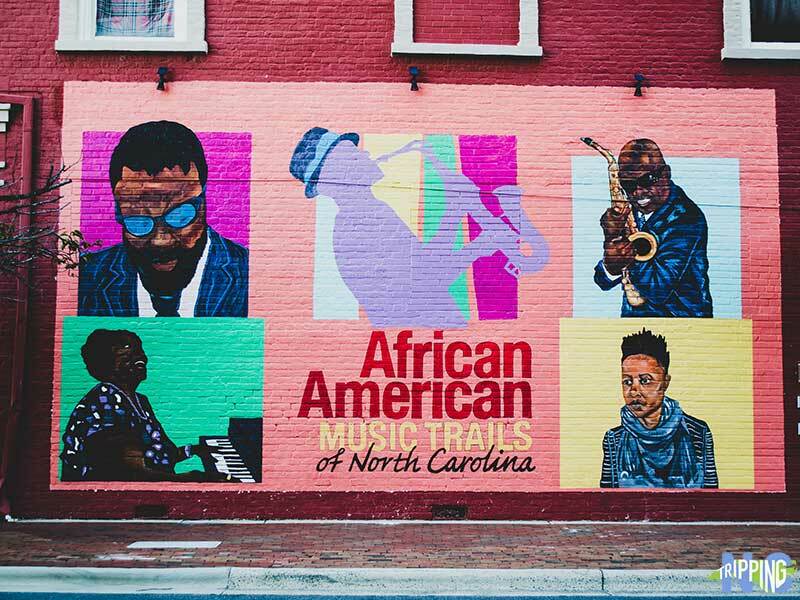 The cool mural that commemorates the African American Music Trail was our favorite, but there’s even more fun artsy stuff going on in Goldsboro. Most of it is managed by The Arts Council of Wayne County and you should keep tabs on them for news of new exhibitions, performances and more. Into history? Goldsboro was an important railroad junction in the Civil War. 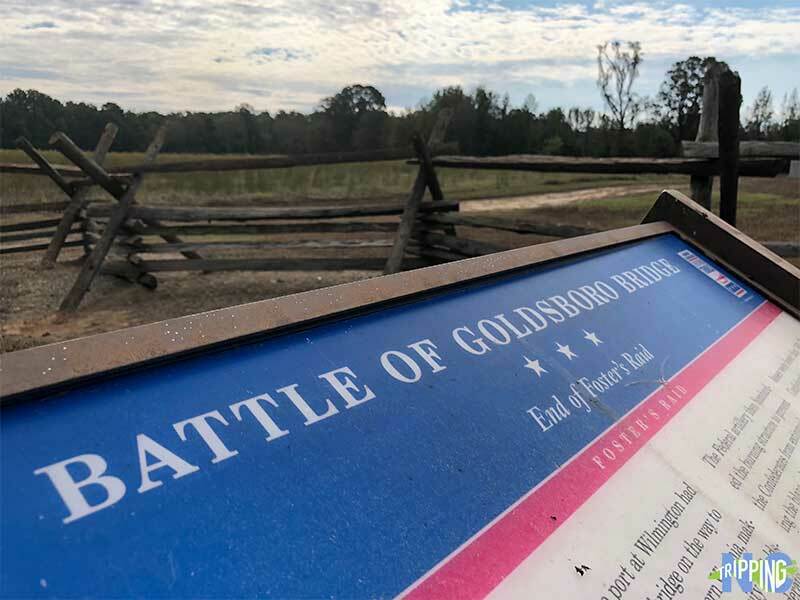 Take a stroll through The Battle Of Goldsborough Bridge and you’ll be taken back to December 1862 when Union and Confederate troops fought a bloody skirmish. As you walk the trail, markers will bring you through the events of that day. As you’ll learn, Union troops burned a crucial bridge and destroyed miles of railroad tracks. Interestingly, a Union journalist covered the area and time and published it as Kinston, Whitehall and Goldsboro (North Carolina) Expedition, December 1862. You can learn more of the dark side of that battle, as well as Downtown, and Waynesborough Historical Village via a tour. 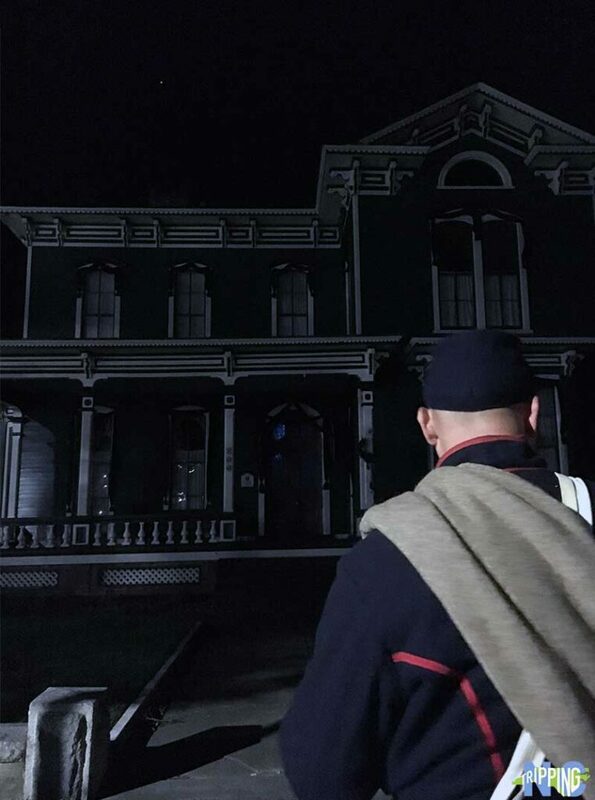 Thomas Bailey’s Candlelight Tours run the 2-hour Ghosts of Goldsborough, which is seriously worth the $10 it takes to book. 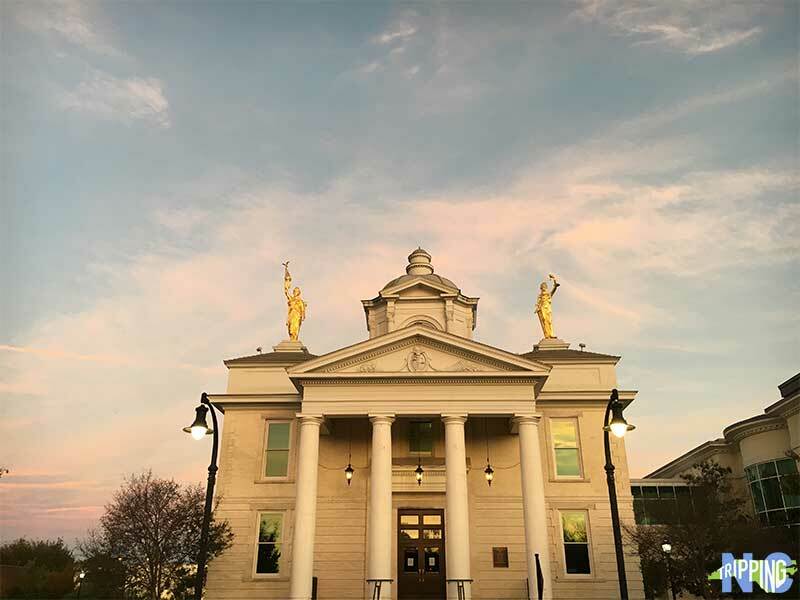 You’ll learn about Goldsboro’s history while also discovering some of the darker sides of this otherwise quiet little town. We’ve been on a few ghost tours and if you’re into them, too, please do this one. For more info, Visit Goldsboro (Website | Call at 919.734.7922) can help get you set up. Get outside and enjoy the beautiful scenes of Cliffs of the Neuse State Park. With hiking trails for all levels and a scenic overlook (rare for anywhere away from the mountains), it’s the perfect spot to pack a picnic and enjoy the day. Looking more for getting out on the river? You can rent a boat, grab a fishing pole, or swim over to the diving platform and cool off! There are also some fantastic primitive cabins and a family-friendly visitors center with educational tools for kids of all ages! Goldsboro is also the host to many festivals throughout the year, beyond the awesome NC Pickle Festival. Center Street Jams happen from May to August, there’s also the NC Poultry Festival in September, Taste of Wayne County in October, and Pig in the Park BBQ Fest. Don’t forget that every two years, Seymour Johnson Air Force Base hosts Wings Over Wayne where they showcase dozens of aircraft and air shows performed by the US Air Force’s premier aerial demonstration teams. Barrique creates beautiful, but more importantly, delicious food y’all! 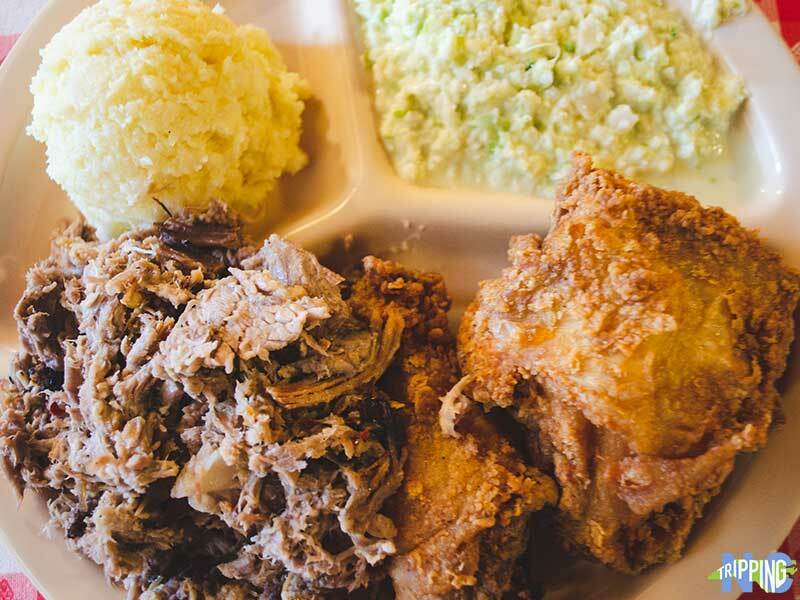 Goldsboro has some stars in the Eastern North Carolina Barbecue scene, with iconic spots like Grady’s and Wilber’s here. 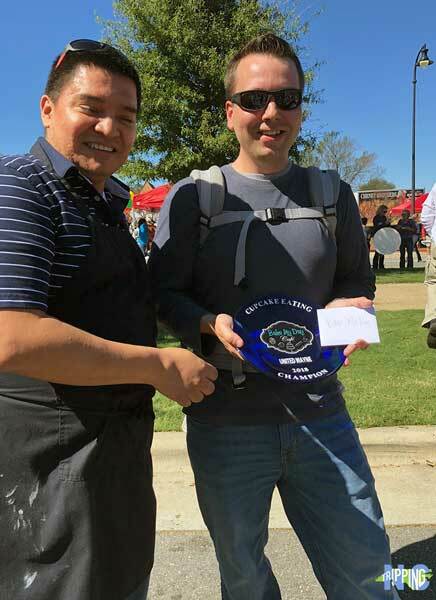 Both restaurants are listed on the NCBS Historic Barbecue Trail, meaning they have reached standards that only 22 establishments throughout the state have. 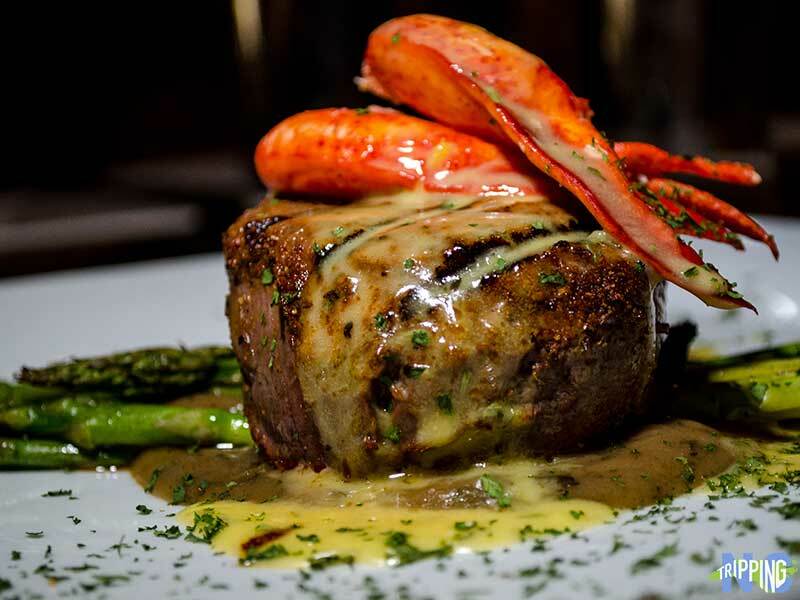 Fairly new to town, the Historic District’s Barrique (Website/Facebook) provides upscale and locally sourced food, 21-day (minimum) barrel-aged cocktails, and an esteemed selection of fine wines. Whether you order the Angus Steak or the Seafood Risotto with ingredients sourced from Sneads Ferry, everything on the menu at Barrique is will go perfectly with your date night, business meeting, or just any night when you want to eat awesome food in a cool setting. Wilber’s Barbecue also makes great fried chicken. There are some more Goldsboro restaurants that we couldn’t leave out. Please go check out awesome Bake My Day (Website/Facebook) for their delicious cupcakes. Center Street Station One O Eight makes amazing burgers and hand-cut fries to go with them. Jay’s Sushi & Burger Bar (Website/Facebook) mixes specialty sushi rolls with creatively thought-up burger concepts and gets busy, so get there early. The Laughing Owl has daily drink specials to go along with their cool Asian fusion menu. What do you think, though? Where else should one eat in Goldsboro? Stay tuned as we work to create a more comprehensive guide to these awesome restaurants in Goldsboro. Grab an ice cream or a root beer float (or both? Nobody’s judging you) at Heritage Farms General Store after walking through the doors of this truly amazing shop. 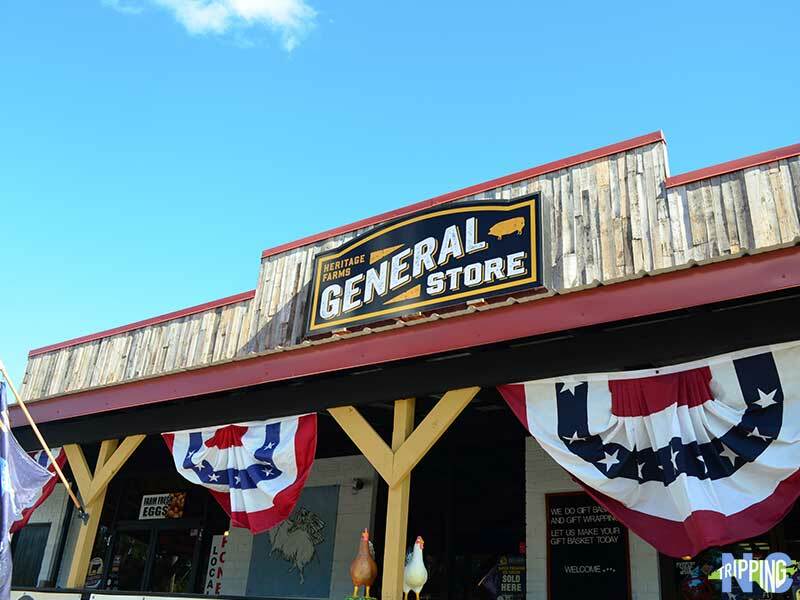 There are so many North Carolina-based products here, including Cheshire pork and tons of BBQ sauces and rubs. They also have tons of souvenir T-shirts and other apparel. Load up on stuff to wear outside and show off your pride for the Tar Heel State. Pop over to R&R Brewing in Mt. Olive, the only craft brewery in Wayne County—for now. They’re a fairly new operation but there’s quite a bit of energy surrounding this place. You’ll see why when you stop by their chilled-out location on Northwest Center Street. Laze around on a hammock, grab some food from the food truck, and enjoy beer made with locally inspired flavors and ingredients. 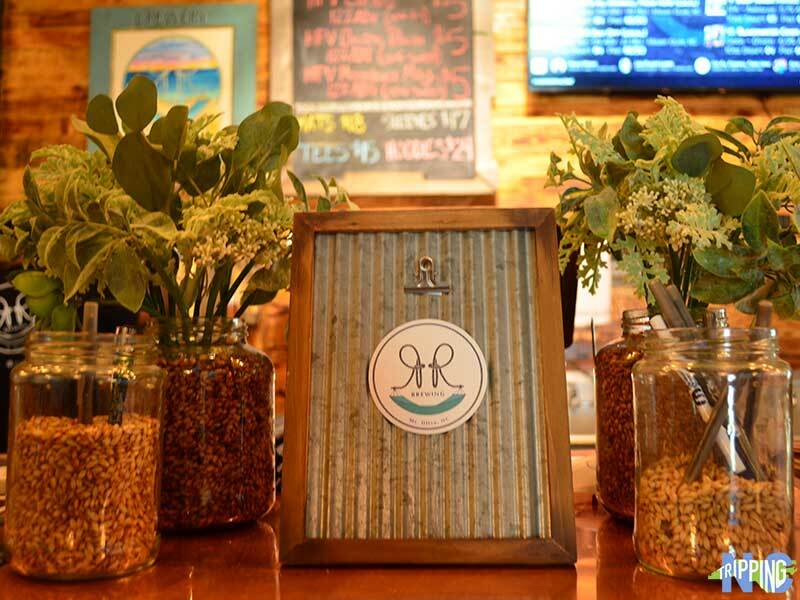 We also included R&R in our list of favorite North Carolina breweries. What others do you think we mentioned? Goldsboro is halfway between Raleigh and Wilmington, making it the perfect base if you want a day in the big city or on the coast. Whether you’re on your way to the beach or coming back, it would be a mistake to not stop in Goldsboro. If you’d like to explore some surrounding towns, start with Wilson, home of Vollis Simpson Whirligig Park. Or you can head over to Kinston and check out Mother Earth Brewing or renowned North Carolinian Vivian Howard’s Chef & the Farmer and Boiler Room Oyster Bar. 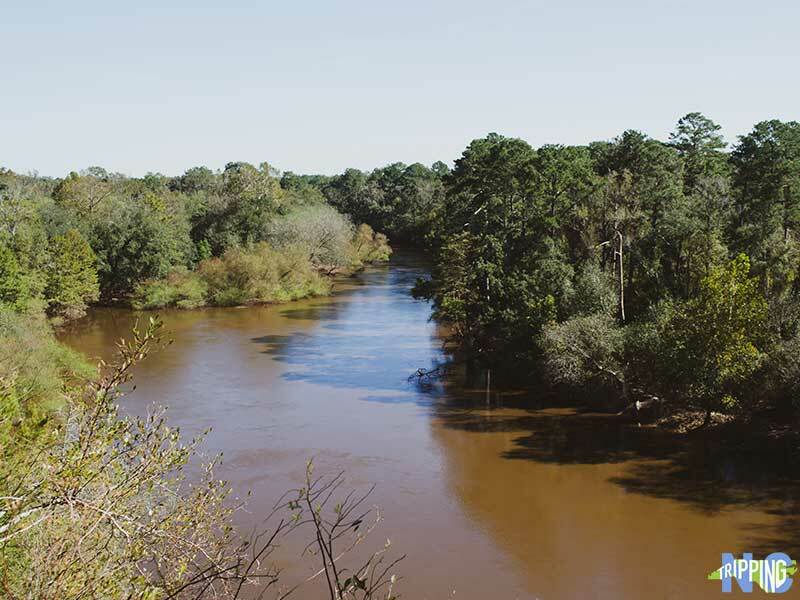 What else should a person do if they’d like to see Goldsboro’s surroundings? We’d love to know what you think. Goldsboro is a town filled with rich history, incredible food, and amazing people. It is a prime example of exactly what Eastern North Carolina was, is, and where it’s going. From the chopped barbecue to the farmlands, visiting Goldsboro perfectly captures this part of the state. Based on what we’ve seen, we know even more is on the way. With new art installations, murals, and businesses popping up, Goldsboro is definitely a place worth watching for at least a weekend, if not more. Special thanks to Goldsboro Wayne Travel & Tourism for providing us with complimentary accommodations, tours, and meals throughout our stay. All opinions within this article are our own. This entry was posted in Travel and tagged Goldsboro, The Piedmont, Wayne County. Why wasn’t the Seymour Johnson Air Force Base mentioned. An Air Force Base named for an early NAVY pilot. Hi there! Thanks for your comment. Because Seymour Johnson is only open to the public one day a month, we decided it wasn’t a great fit for this “Weekend in…” guide. 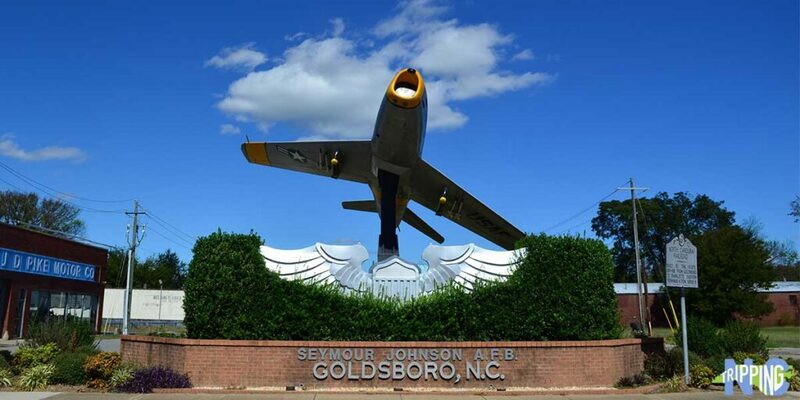 But be on the look out for an article we have coming up that will feature it, Wings Over Wayne, and more cool parts of Goldsboro!